Due to the overwhelmingly positive response to the 2012 Liv/giant Avail Inspire women’s road bike, Liv/giant and Young Survival Coalition (YSC) are hosting, for its second year, an Avail design contest, running through the month of October, 2012. Last October, Liv/giant and YSC asked young breast cancer survivors to design graphics for a special-edition Liv/giant Avail road bike, the sales of which benefitted YSC, the premier organization supporting young women diagnosed with breast cancer. Survivor Emily Gresh’s design was chosen, and the theme of the design, “Inspire,” became the name of the bike model: Avail Inspire. Participants create their graphic designs on a frame template that can be downloaded from YSC’s website. They are also asked to submit the story behind their design. The contestant whose design is chosen to be applied to the 2013 Avail Inspire model will receive one of their personally-designed bikes as part of winning the contest. This bike will also be one of the models that Liv/giant donates to young survivors who will train for and ride in the 2013 YSC Tour de Pink fundraisers. 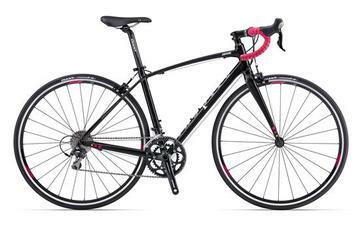 Liv/giant sold out its 500 Avail Inspire road bikes in 2012. For each of the bikes sold, 10% of the proceeds were donated to YSC. You can still find these bicycles in stock at all three Century Cycles stores!